Update: Extending their slide, Tesla shares are now down 8% in premarket trade. As Tesla's much-larger (by sales and production volumes, at least) rivals unveil their rival electric-car models at the North American Auto Show, threatening Tesla's sales and its standing in the market for EVs, the Wall Street Journal reported Friday that Tesla plans to cut 7% of its workforce, part of a production-ramp and cost-reduction effort aimed at boosting sales of the Model 3 (what was supposed to be a "mass market" vehicle). Musk announced the job cuts, the first since June, in a memo to employees. 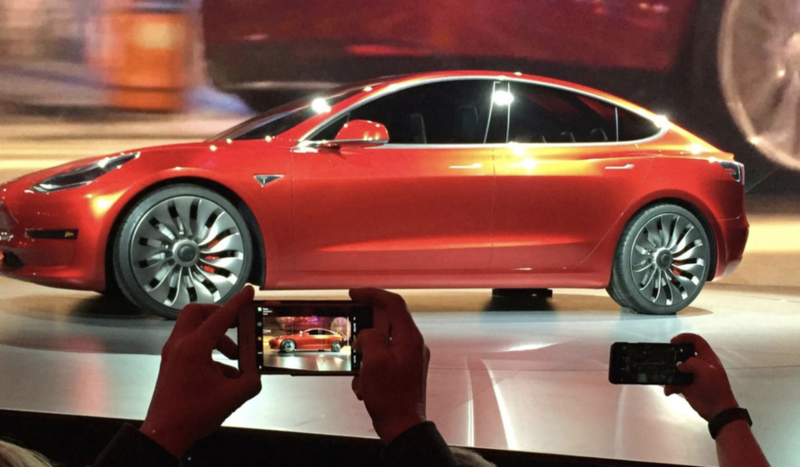 Musk is hoping to sell the Model 3 at $35,000. Late last year he debuted a "low-cost" Model 3 with fewer advanced features that debuted with a price tag of just $45,000). He added that the company had "no choice" but to reduce its work force after it increased by 30% last year. The company will retain "only the most critical" temporary workers as it seeks to find a way to lower its head count and ramp up production at the same time. "Tesla will need to make these cuts while increasing the Model 3 production rate and making many manufacturing engineering improvements in the coming months," Chief Executive Elon Musk told employees in a memo reviewed by The Wall Street Journal. "Higher volume and manufacturing design improvements are crucial for Tesla to achieve the economies of scale required to manufacture the standard range (220 mile), standard interior Model 3 at $35k and still be a viable company." They also follow a lowering of Tesla's Q4 profit outlook, according to the Street (this comes after the company earned a surprise profit in Q3, albeit a paper profit that was contingent on the company using "every trick in the book"). Tesla said it will post a GAAP-reported profit for the three months ending in December, but cautioned that number will be less than the $312 million it posted for the third quarter. It also said it would ramp up Model 3 production ahead of a scheduled reduction in U.S. tax credits on July 1. Musk's announcement of the staff cuts follows reports that Tesla had been forced to recall 14,000 Model S cars in China, which were produced between 2014 and 2016, as part of an industry-wide crackdown on exploding Takata airbags. As of the end of 2017, Tesla had some 37,500 employees. The company's shares were off more than 7% in premarket trade.